Labor disputes are complicated, and the BART situation is no different. Negotiations resumed this week after the cooling off period called for by the governor of California as a result of the July strikes. To help get up to speed, check out the data visualizations made by the Bay Area d3 User Group in conjunction with the UC Berkeley VUDLab. They have a round up of news articles, open data, and open source code, as well as links to all the authors’ Twitter profiles. The infographics address several key questions relevant to the debate, including how much BART employees earn, who rides BART and where, and the cost of living for BART employees. In a recent PandoMonthly interview, John Borthwick made a very interesting point. Many cities are trying to copy the success of Silicon Valley/Bay Area startups by being like San Francisco: hip, fun urban areas designed to attract young entrepreneurs and developers (Austin comes to mind). However, the relationship between tech and other residents is a strained one: witness graffiti to the effect of “trendy Google professionals raise housing prices” and the “startup douchebag” caricature. New York, on the other hand, has a smaller startup culture (“Silicon Alley”) but much closer and more fruitful ties between tech entrepreneurs and city government. Mayor Bloomberg has been at the heart of this, with his Advisory Council on Technology and his 2012 resolution to learn to code. Bloomberg’s understanding of technology and relationship with movers and shakers in the industry will make him a tough act to follow. Rather than trying to become the next Silicon Valley (a very tall order) it would be more efficacious for cities to follow New York’s model: ask not what your city can do for technology, but what technology can do for your city. Turn bus schedule PDF’s into a user-friendly app or–better yet, for many low-income riders–a service that allows you to text and see when the next bus will arrive. Instead of calling the city to set up services like water and garbage collection, add a form to the city’s website. The opportunities to make city life better for all citizens–not just developers and entrepreneurs–are practically boundless. The best way that I have found to operationalize “pick a row, closest space” is to go a few rows out from the row nearest the store entrance(s). It is important to be driving down the row facing away from the store, so that the first spot you reach is the closest. But aside from the engineering, the most beautiful thing about a long-haul airliner is the economic wizardry which keeps it flying. On board are a variety of seats from the sybaritic to the spartan for which people have paid wildly varying amounts of money, even though each seat will reach the same destination in the same length of time. You may find this class division offensive. However, if you were to try to make aircraft egalitarian, the system would collapse. Without the people in the front paying handsomely to sit in splendour, many of the people in the back could not afford to travel at all. An airliner is in some ways slightly socialist — it redistributes wealth through voluntary means. This redistribution works in both directions. You can operate business-class-only flights. Indeed, if you can fill them, these are highly profitable. But there is a problem here. Business travellers prefer airlines which offer frequent flights to their destination, since they value flexibility and wish to avoid needless hours or days spent away from home. Without economy class passengers, you cannot operate sufficiently frequent flights to suit business schedules. Hence almost all long-haul airliners are symbiotically configured for mixed classes. That’s from Rory Sutherland of The Spectator and there’s more here including speculation about how bus systems could use this mechanism and how to improve in-air wifi. This week and last I have been on several flights, but mostly on Southwest where the variance in ticket prices is somewhat lower than full-service airlines. I’m still waiting for a paper on in-group and out-group dynamics that quickly form during the Southwest boarding process, despite the semi-random ordering of boarding numbers. Everyone who checks-in exactly 24 hours before their flight has some probability of being in the A group, whereas everyone who checks in later has a lower chance. Earlier this year Southwest introduced the option to pay $10 and be automatically checked in at the earliest possible moment. This feature is well worth it, in my opinion–a bargain even if I am subsidizing the beverage service for others. The Internet: Communication or Transportation? Is the Internet a communication technology or a transportation technology? What does the answer to this question imply about Internet governance and the future of online liberty? One thing technology does well is take multiple functions that were previously bound into the same physical process or object and split them into separate objects/subroutines, each of which does its own job so efficiently that the overall object/process works better than it did before. These chunks can also be recombined in new ways to do things that were not previously feasible. Enter the ebook. A single display can be used for a virtually infinite number of books. Storage is extensible, expandable, and expendable. If you want more, get it. If it breaks, replace it. And when you are ready to add a new edition to your collection it only takes a matter of seconds to transfer the bits. Actually, the process goes back much further to when the written word disembodied message from messenger. Before this, shooting the messenger was the only primitive backspace key available. Burning books Fahrenheit 451-style can be tragic, but it is quite an improvement over burning bodies. Is the Internet a simple continuation of this separation-optimization-recombination trend, or is it something more? The Internet is more similar to the spoken/written word jump than it is to the printed book/ebook development, because it allows the separation of consciousness from body. My body can be in almost any physical locations while my consciousness is bound up in a conversation, collaborative project, or game with almost anyone else from almost anywhere else. In this way, the Internet is more like a transportation technology than it is a communications technology. Governing the roads was a nontrivial task for the early modern state. Then came air travel, which existed for a brief unregulated period before governments learned to exercise their control there. For more on the tension between innovation and regulation in transportation, see here, here, and here. These early periods are open to rapid innovation, which also means that they permit risk-taking. This risk/opportunity trade-off chosen by state-avoidant peoples. States and their peoples see the opportunity but do not want the risk. Risk can be reduced or it can be hidden; the latter is cheaper and states are better at it, so it is often on that margin that they work to bring their peoples into new avenues of opportunity without fear. But by reducing the downside risk they also take away the upside of innovation. The Internet is nearing this inflection point, if it has not already passed. It is a dangerous but promising frontier. Would you rather have pioneers as your guide, or big brother watching out for you? The traveling salesman problem is simple in its setup but remarkably complicated to solve. You need to visit a number of cities, say 10, and want to find the shortest route that visits all of them exactly once and brings you back to where you started. From a list of routes it is easy to find the shortest one, but it is incredibly hard to verify that it is the shortest of all possible routes. Finding a solution gets even more difficult when you go from a (mathematically) feasible solution to one that can be implemented in the real world. That is because you have to incorporate a notoriously unreliable component into your plans: human beings. [I]n trying to apply this mathematics to the real world of deliveries and drivers, UPS managers needed to learn that transportation is as much about people and the unique constraints they impose, as it is about negotiating intersections and time zones…. For one thing, humans are irrational and prone to habit. When those habits are interrupted, interesting things happen. After the collapse of the I-35 bridge in Minnesota, for example, the number of travelers crossing the river, not surprisingly, dropped; but even after the bridge was restored, researcher David Levinson has noted, traffic levels never got near their previous levels again. Habits can be particularly troublesome for planning fixed travel routes for people, like public buses, as noted in a paper titled, “You Can Lead Travelers to the Bus Stop, But You Can’t Make Them Ride,” by Akshay Vij and Joan Walker of the University of California. “Traditional travel demand models assume that individuals are aware of the full range of alternatives at their disposal,” the paper reads, “and that a conscious choice is made based on a tradeoff between perceived costs and benefits.” But that is not necessarily so. People are also emotional, and it turns out an unhappy truck driver can be trouble. Modern routing models incorporate whether a truck driver is happy or not—something he may not know about himself. For example, one major trucking company that declined to be named does “predictive analysis” on when drivers are at greater risk of being involved in a crash. Not only does the company have information on how the truck is being driven—speeding, hard-braking events, rapid lane changes—but on the life of the driver…. In other words, the traveling salesman problem grows considerably more complex when you actually have to think about the happiness of the salesman. That’s from Tom Vanderbilt over at Nautilus, and the whole thing is worth a read. Oh, and there’s also an app for that. Dollar bills have several features that make them ideal for modern commerce. They are impartial, lightweight, and memoryless. You can use them to buy a gun or a granola bar, to pay a drug dealer or a dry cleaner. As a vehicle for trade, it does not get much better. Think of the shipping container as the Internet of things. Just as your email is disassembled into discrete bundles of data the minute you hit send, then re-assembled in your recipient’s inbox later, the uniform, ubiquitous boxes are designed to be interchangeable, their contents irrelevant. Once they enter the stream of global shipping, the boxes are shifted and routed by sophisticated computer systems that determine their arrangement on board and plot the most efficient route to get them from point to point. The exact placement of each box is a critical part of the equation: Ships make many stops, and a box scheduled to be unloaded late in the journey can’t be placed above one slated for offloading early. Imagine a block of 14,000 interlocked Lego bricks—now imagine trying to pull one out from the middle. That’s Andrew Curry in the latest edition of Nautilus, and the whole article is worth a read. 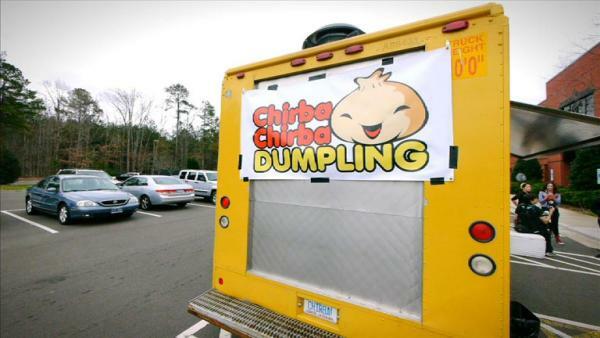 Popular Durham-area food truck Chirba Chirba serves dumplings. Photo via livewell. There are numerous (and sometimes conflicting) regulations required by the departments of Health, Sanitation, Transportation and Consumer Affairs. These rules are enforced, with varying consistency, by the New York Police Department. As a result, according to City Councilman Dan Garodnick, it’s nearly impossible (even if you fill out the right paperwork) to operate a truck without breaking some law. Trucks can’t sell food if they’re parked in a metered space . . . or if they’re within 200 feet of a school . . . or within 500 feet of a public market . . . and so on. Enforcement is erratic. Trucks in Chelsea are rarely bothered, Nafziger said. In Midtown South, where I work and can attest to the desperate need for more lunch options, the N.Y.P.D. has a dedicated team of vendor-busting cops. “One month, we get no tickets,” Thomas DeGeest, the founder of Wafels & Dinges, a popular mobile-food businesses that sells waffles and things, told me. “The next month, we get tickets every day.” DeGeest had two trucks and five carts when he decided he couldn’t keep investing in a business that was so vulnerable to overzealous cops or city bureaucracy. Instead, DeGeest reluctantly decided to open a regular old stationary restaurant. We’ve discussed food truck regulations and the competition between vendors before. There is certainly a place for regulation, but inconsistent and seemingly arbitrary enforcement undermines the goal of clarifying expectations between all parties. How many people died because of the September 11 attacks? The answer depends on what you are trying to measure. The official estimate is around 3,000 deaths as a direct result of hijacked aircraft and at the World Trade Center, Pentagon, and in Pennsylvania. Those attacks were tragic, but the effect was compounded by overreaction to terrorism. Specifically, enough Americans substituted driving for flying in the remaining months of 2001 to cause 350 additional deaths from accidents. People tend to fear dread risks, that is, low-probability, high-consequence events, such as the terrorist attack on September 11, 2001. If Americans avoided the dread risk of flying after the attack and instead drove some of the unflown miles, one would expect an increase in traffic fatalities. This hypothesis was tested by analyzing data from the U.S. Department of Transportation for the 3 months following September 11. The analysis suggests that the number of Americans who lost their lives on the road by avoiding the risk of flying was higher than the total number of passengers killed on the four fatal flights. I conclude that informing the public about psychological research concerning dread risks could possibly save lives. Does the same effect carry over to other countries and attacks? Alejandro López-Rousseau looked at how Spaniards responded to the March 11, 2004, train bombings in Madrid. He found that activity across all forms of transportation decreased–travelers did not substitute driving for riding the train. What could explain these differences? One could be that Americans are less willing to forego travel than Spaniards. 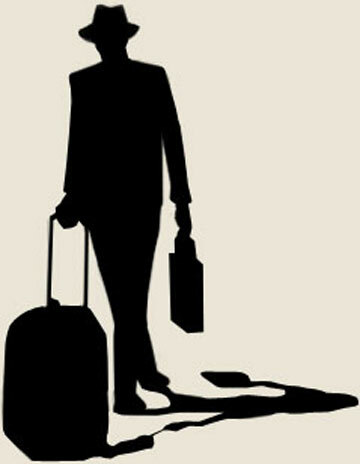 Perhaps more travel is for business reasons and cannot be delayed. 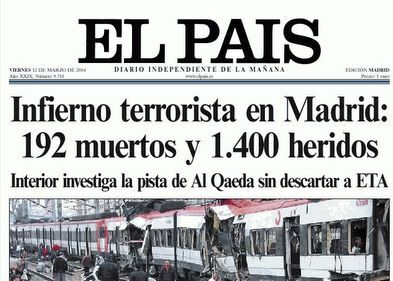 Another possibility is that Spanish citizens are more accustomed to terrorist attacks and understand that substituting driving is more risky than continuing to take the train. There are many other differences that we have not considered here–the magnitude of the two attacks, feelings of being “in control” while driving, varying cultural attitudes. This post is simply meant to make three points. First, reactions to terrorism can cause additional deaths if relative risks are not taken into account. Cultures also respond to terrorism in different ways, perhaps depending on their previous exposure to violent extremism. Finally, the task of explaining differences is far more difficult than establishing patterns of facts.